In the developer’s own words, PIT Fitness is the only mobile phone app that puts you through a 30-day workout program that seamlessly allows you to change your workouts based on the tools available to you. This sounds like a great idea so let’s take a closer look and see if this app lives up to its claims. I’m always a little skeptical when I first start using a fitness app, largely because there are so many duplicates of the same or similar principles within the App Store that it’s rare I ever stumble upon something original. 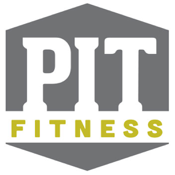 In the case of PIT Fitness, I’m pleasantly surprised by the quality of the content and the way in which everything can be tailored to suit your fitness levels and the kind of equipment you have access to. When you first start using this app you’ll be given a choice among three levels. This is determined by how many pushups you can perform consecutively and will of course dictate the difficulty level of the workouts prescribed to you. Given that I can perform 50+ pushups I decided to opt for Level 3. At this point you’ll be asked which tool you want to use for your workout, with the options being Bodyweight, Dumbbell, Kettlebell, and Sandbag. This menu also allows you to add or create a playlist so that you can start training right away to your favorite motivational songs. After specifying your equipment and music you’ll be shown a workout consisting of a handful of exercises. If you tap on each one you’ll be able to read a detailed explanation of how to perform each one, and if you’re really stuck you can also tap the Video Demo button at the bottom of the screen for a visual demonstration. We all like to take pride in our achievements so after finishing each workout you can share your accomplishment with your friends online via Facebook and Twitter before moving on to the next session. All in all, I think this is a very well-designed fitness app with loads of different exercises, and I really love the way in which you can more or less design your own workouts depending on your fitness levels and what kind of gear you have. If you’re looking to start getting into shape or you simply want a decent fitness program which is suited to your preferences, you really can’t go wrong with PIT Fitness. This is a solid fitness app which definitely receives my recommendation.